One of the great things about leasing a car is the way it enables you to have a comprehensive monthly budget set aside for your transportation expenses - allowing you to plan your finances and always know where you stand financially. But owning a car does involve a few extras which you need to consider when planning to lease, and car insurance is one of those things. Is insurance included when you lease a car? Is car insurance different for a leased car? Is a leased car more expensive to insure? What about business lease car insurance? How can I lower my lease car insurance premiums? While many see car leasing in a similar way to car hire, one way in which it is different is in terms of insurance. When you lease a car, it is yours to drive as you see fit but this also means you are responsible for the car insurance. 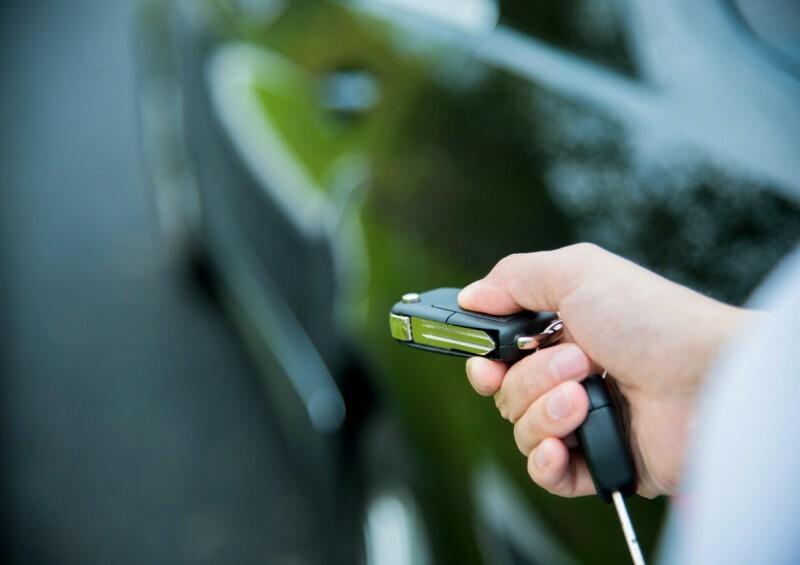 What type of insurance do I need for my leased car? Any leased car is going to require fully-comprehensive car insurance – insurance that protects you and your car just as much as it looks after anyone else involved in an accident. This is important, as inferior cover, such as ‘third party’, would leave you having to foot a substantial bill for your own car repairs if an accident happened. There’s no difference in any way between fully-comprehensive insurance for your leased car than one that you own outright. As far as the insurance company are concerned, it’s your vehicle. Remember though, that the finance company who you lease the car with are the legal owners of the car and will hold the ownership documentation – insurance companies are used to this, and it’s as simple as letting them know and passing on the details of your finance company. There’s no difference in price between the insurance for your leased car and any equivalent insurance if you had bought the vehicle outright. And while some might argue that you have the option of cheaper ‘third party’ or ‘third party, fire and theft’ insurance if you owned the car, the likelihood of anyone trying to save a few pennies on their insurance when they are driving a brand-new car just off a showroom floor is very low! What about business lease car insurance? Does a business car lease include insurance? Like insuring a personal lease car, with a business lease you are still responsible for insuring your leased vehicle. Unlike a personal contract hire, business use could make a substantial difference to your insurance premiums. Insurance companies are always keen to insure the vehicle properly for its use. A business contract hire vehicle may require commercial insurance if it is used as part of the business (for example, a van for taking tools to customers, or a car used as part of a door-to-door sales campaign). There are many different types of business insurance, from a simple level of personal use plus commuting to the office, all the way to courier insurance for vans filled with packages that clock up high yearly mileage amounts. What are the legal requirements for insurance to use a vehicle on UK roads? Some believe that you don’t need insurance if your vehicle is off the road and not in use, and while this used to be true, it is no longer the case. In the UK, you must have valid vehicle insurance even if you are not using your car. The only way around this is to obtain a Statutory Off-Road Notice (SORN) which declares that your vehicle is not in use – obviously, claiming a SORN for a leased vehicle is extremely rare! Remember, though, that even if you are on holiday for a month or two and have your car safely tucked away in a garage, it still needs to be insured for the period. As a driver of a leased car, estimating your yearly mileage will be something you are used to doing and just as the leasing company want to know your driving habits (to calculate depreciation), so too will the insurance company (to calculate risk). Those who drive further and longer are more likely to have accidents just because they are on the road more, so insurance companies want to know. Plus, if you go outside your mileage limit, you may find yourself uninsured! It’s rare for an insurance company to quibble over a few hundred miles but break your estimate by a couple of thousand or more and you may be driving uninsured. Give your insurance company a quick call and update your estimates if you feel you are going over the limit – it’s as simple as that, and any increase on your premium is worth the knowledge that you are properly insured. If you just use your car for social purposes and popping to the supermarket, then the most basic level of insurance will suffice, but as soon as you start going to the office every day or even driving to clients’ buildings as part of your work, you will need to upgrade your insurance. If you are in any doubt, give your insurance company a call and they can make sure you have the right level of cover. Fail to do so and you may find yourself outside of your agreement and on the road illegally. Make sure you are the named driver in both the lease and the insurance documentation. While your lease contract might allow your spouse to drive your car, your insurance might not have the same clause – or vice versa! It’s worth checking with both to make sure there are no issues with a second driver affecting your insurance on the lease car. What can I do to lower my lease car insurance premiums? The cost of insurance is tied in to how much of a risk you are to the insurance company, and anything you can do to lower that risk will result in a lower insurance premium. At Complete Leasing, we recommend you park your car in a safe overnight location – in a garage or a driveway if possible. This can have a substantial reduction on your insurance costs. If you are a new driver, or just want to improve your driving habits generally, it is also a good idea to look to black box driving insurance (or telematics). This means that a device is fitted to the car which tracks your journeys and sends data to the insurer. Using this information, they can accurately see how careful you are as a driver and adjust your insurance accordingly – it’s a great way to lower your insurance premiums for anyone who drives well. For more information on insurance when leasing your car, or to find our more about any aspect of car leasing – plus to get the best deals available today, give one of our representatives at Complete Leasing a call today.